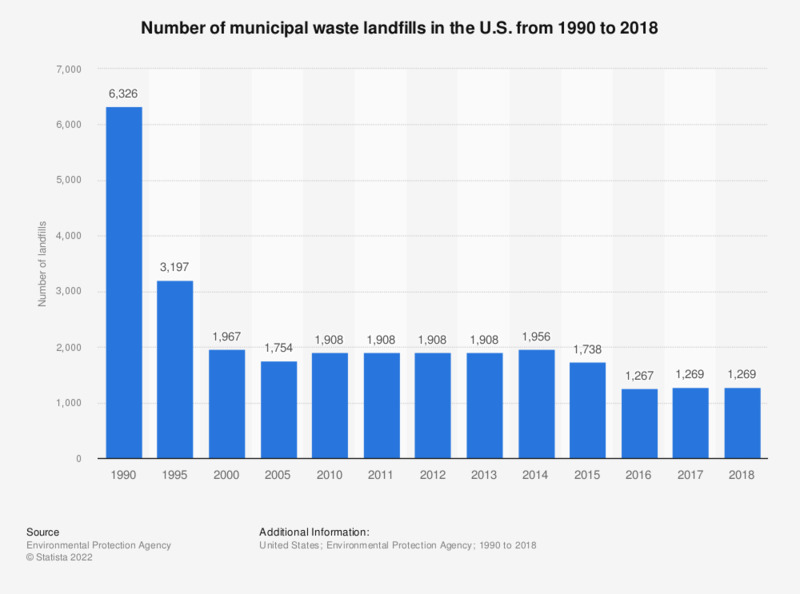 This statistic shows the number of landfills in the United States from 1990 to 2014. In 2014, there were 1,956 landfills in the United States, most of which are situated in the West. The figures for 1990 through 2013 are taken from previous editions of the publication.